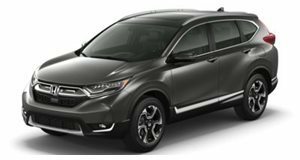 A report was released this week that Honda is looking to recover its hopes on the U.S. light truck market by releasing a new version of the popular CUV. This comes after the automaker saw that its North American market saw some sales growth largely due to the success of the Odyssey and CR-V. The all-new CR-V is reportedly set to debut by this fall, and the 2012 CR-V will be a complete generational model change, though the company hasn't revealed information about it. Globally, Honda has suffered from slumming sales, but the company hopes that focusing on light trucks will help boost the company's total U.S. volume to 1.28 million vehicles by the end of its fiscal year. The news of the next-generation CR-V is, however, enough to explain why the 2010 and 2011 models received close to no updates. Other than adding a measly 14-horsepower to the engine and a slightly adjusted grille, the CR-V stayed pretty close to the 2009 rendition. We're looking forward to those first spy photos as production draws near.